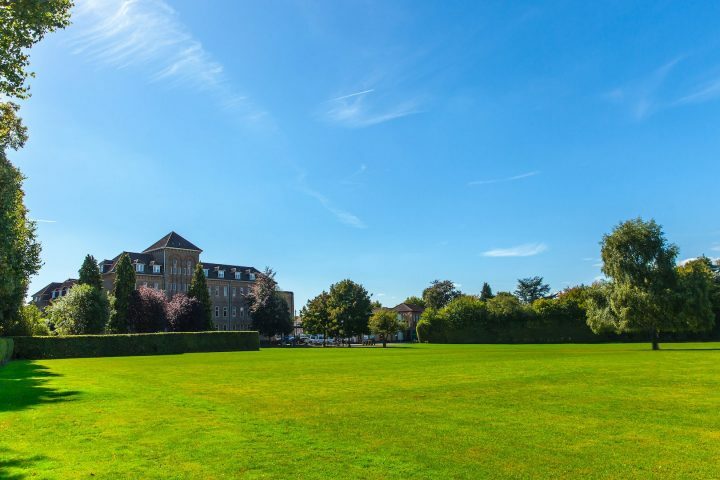 To celebrate International Women’s Day, St Francis’ College Letchworth invited three inspiring women to talk to the students, parents and teachers at the school. The event was also open to the good people of Letchworth, and the house was full. Speak. Do not remain silent. First up was Dr Preti Taneja, who went to school at St Francis’. 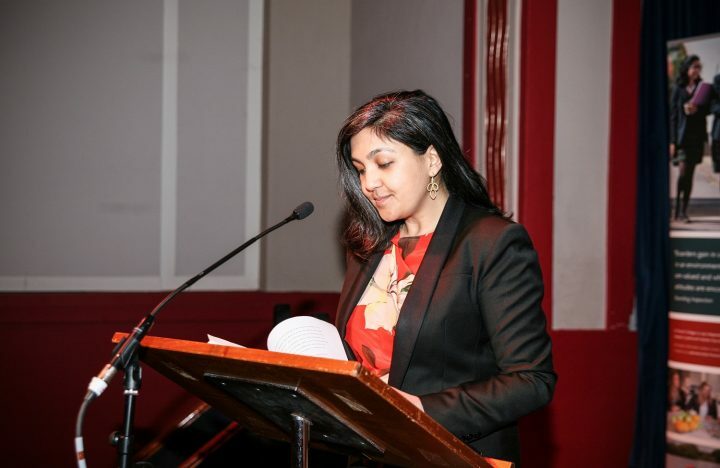 Preti is a writer, journalist, broadcaster and human rights advocate. 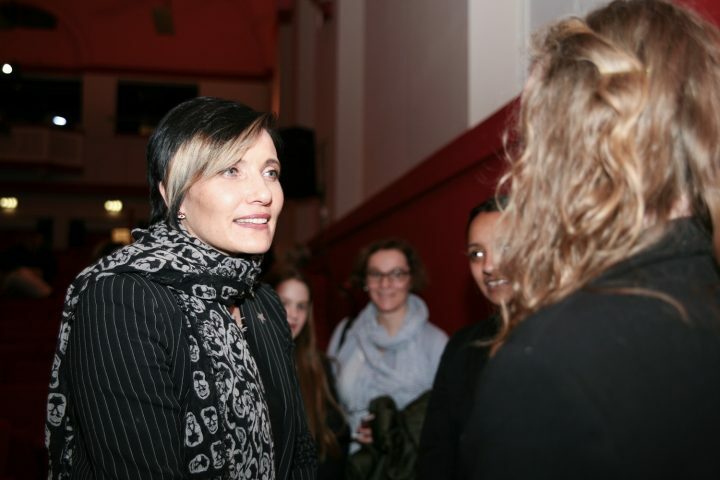 Some of her former teachers were in the audience – can you imagine how proud they were! Preti started by asking ‘What is the value of literature?’ and went on to talk about King Lear. Preti explained that as the daughter of Indian immigrants, she felt the weight of expectation to be a good daughter. She reminded us of the plot of King Lear. A King with three daughters decides to retire and split his kingdom. He links the economic value of his land to the love his daughters have for him. When expected to give an elaborate speech to outdo her sisters, Cordelia replies, ‘Nothing.’ This garners the famous response from her father, ‘Nothing will come of nothing.’ Preti made the point that as women we need to speak. We need to say what we really feel. We should not remain silent. She added that today only 22% of professors in the UK are female, and then told us this amazing story, accompanied by a film, about how she visited a refugee camp in Jordan where young people are performing Shakespeare. I suppose you had to be there really, but Preti brought the house down – by this I mean a whole girls’ school was silent as they listened to her story. And then came the applause. It raised the roof. Preti has written a book, We That Are Young, a re-telling of King Lear, set in contemporary New Delhi. It will be published in July this year, by Galley Beggar Press. Dr Hannah Macleod is a hockey player in the GB women’s team and is a double Olympic medallist. She also works as a nutritionist. She jumped on the stage and held the mic and walked around, a bit like a stand up comedian might do. But while she has humour in spades, her message was serious. What are your super strengths? she asked. As young women – and older women too – we need to own our confidence. She won a bronze medal at London 2012 and a gold medal in Rio last year. She loves her bronze medal the most, and for the that reason, she left it at home. The gold medal she had with her, and during the talk we were allowed to pass it around in the audience. 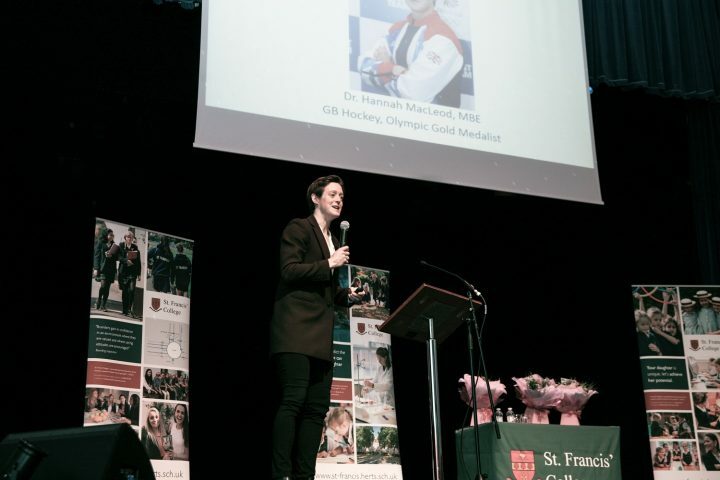 Young hockey players at St Francis’ were holding an Olympic gold medal in their hands while the winner of the medal talked about thousands of hours of training and the need to make thousands of mistakes. Hannah went to a school where girls were banned from playing football. She explained that she wanted to be the best hockey player she could be in order to help others in her team – the St Ives Hockey Club. Yes, this was golden team talk, and we were once again gripped by the speaker’s story. One of the things she talked about is how the team members went from being people who had jobs and played hockey on the side, to full-time team players. As a new team, the women were given the opportunity to decide for themselves how they should train and organise their timetable. This was one of the keys to success and took them from being 8th in the world to winning gold. 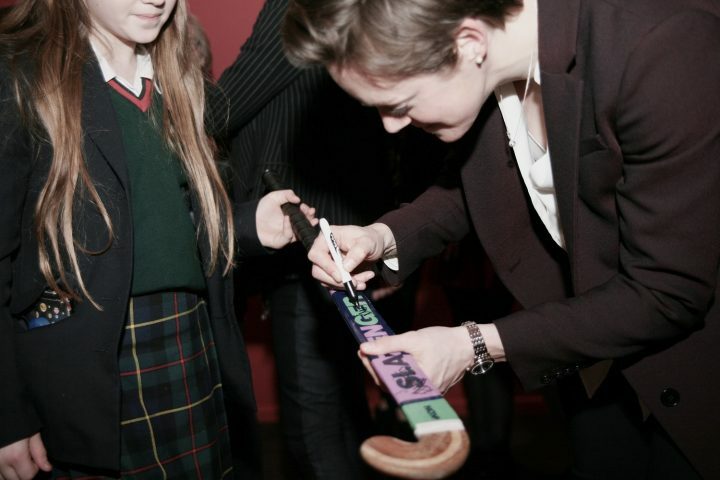 After the talk, Hannah was surrounded by students asking them to sign their hockey sticks. Fail. Failure is a good thing. And then it was Professor Tanya Byron. The clinical psychologist, writer and broadcaster threw away her zumba style microphone, and asked Hannah to go back on the stage to help her untangle the wires. She was then free to let rip – and she did! Tanya talked about failure. Yes! It’s good to make mistakes. She said that her clinic is full of young people who have unbelievably high expectations because they are constantly comparing themselves to other people. They are consumed by anxiety about not being good enough and this is making them ill. And yes, girls and women are more prone to this than men and boys. It’s good to fail she said, and it’s also important not to believe everything that you think. In order to explain this, it was flip chart time – thankfully not PowerPoint – and Tanya drew a brain. When one part of our brain is telling us we are no good, it’s important to be able to look at the evidence rationally and decide whether or not we are rubbish. We’re probably actually ok. Again, you probably had to be there but everything she said made sense and she definitely challenged her audience. When she said, ‘Grades don’t matter’, I saw many girls raising their eyebrows at their parents. It’s good to fail. Believe in yourself. After the talks we all repaired to the dining hall for drinks and eats and the place was buzzing. I loved it. In some ways the parents seemed to have been the most affected by what we had heard. There was much reflection on the need to avoid heaping pressure on our daughters. It’s vital that we allow them to fail and to learn who they are, so that they can be themselves. 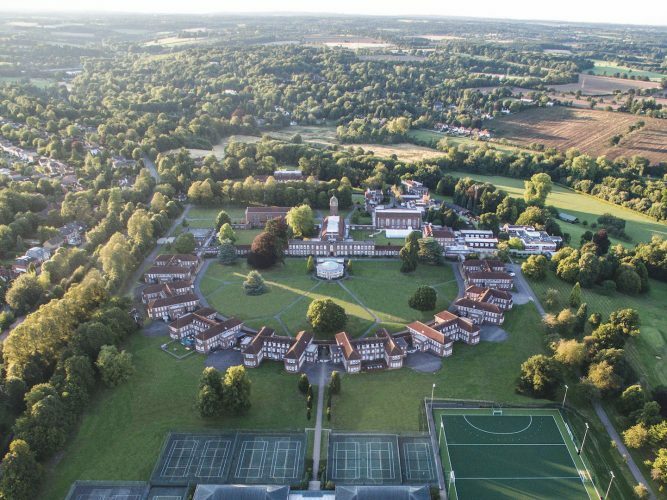 Just in case you missed it last time, here is my review of St Francis’ College. 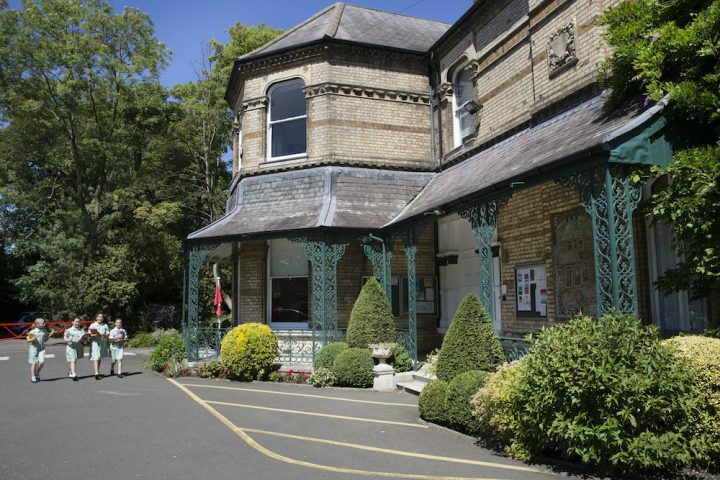 There’s an open day on Sat 25 March.